Coming home to the Church? 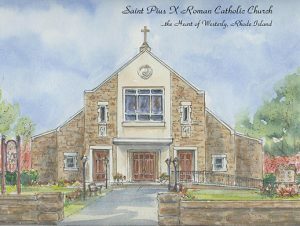 It does not matter if you’ve been away from the Catholic Church for a few months or many years, we at Saint Pius X are always ready to welcome you! Our merciful God is always ready to welcome you. You may have felt a tug in your heart calling you to rediscover the Catholic faith. The first step is recognizing that tug as your Heavenly Father yearning for your return to the Church. We invite you to take a further step of going to confession. 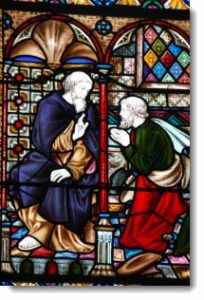 The Sacrament of Reconciliation is offered at Saint Pius X every Wednesday from 5:00-6:00pm and Saturday from 3:30-4:30pm, or any time by appointment. The next step is to return to the routine of worshiping at weekly Mass. By going to Mass, you are able to experience Christ’s presence in the liturgies and carry that presence out into the world. Our community grows by worshipping and praying together—we would love to grow with you! The Mass schedule for Saint Pius X can be found on our Mass Times page. Our community is full of people excited to help you along your journey back home. For example, you may wish to discuss your return with one of the available Priests or the Deacon Assistant. To do so, please contact the Parish Office at 401-596-2535. To learn more about what we believe as Catholics, you may be interested in one of the various programs, including a class on the Universal Catechism. To connect to your Catholic peers, please see our page “Get Connected”. Finally, our parish calendar is full of events, retreats, and prayer services that will help you strengthen your personal relationship with Jesus and the Church he founded. I would like to tell all those who feel far from God and the church — and I say this respectfully to those who are afraid or indifferent: The Lord calls you and wants you to be part of his people and does so with great respect and love!